MIAMI-DADE COUNTY, Fla. - A car was found submerged early Saturday in a canal just south of Miami International Airport, authorities said. Police later made contact with the driver, who said he lost control of the vehicle the night before and decided to wait until morning to retrieve it. Detective Alvaro Zabaleta, a spokesman for the Miami-Dade County Police Department, said divers had searched the canal for the driver or any passengers as a precaution. 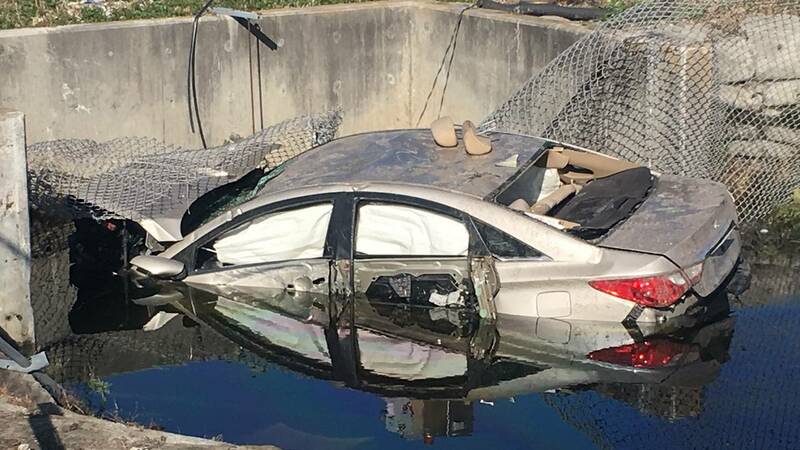 The driver, who lives in Coral Gables, crashed his gray Hyundai Sonata through a fence late Saturday and plunged into the canal near Northwest 57th Avenue and North Perimeter Road, Zabaleta said. The car was heavily damaged when it was pulled from the canal. The airbags had deployed, the rear windshield was shattered and the right side doors were smashed.